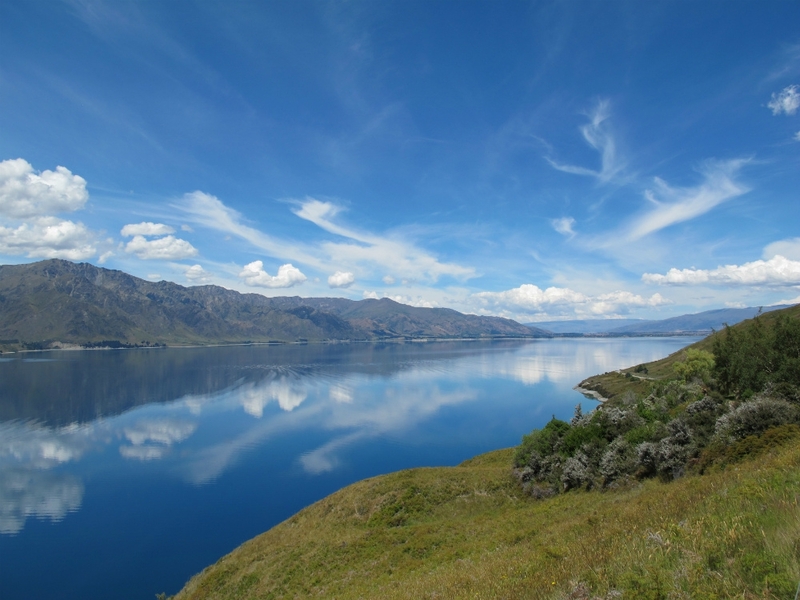 Lake Hawea can be a surprise to travellers making their way from the west coast to Wanaka and onto Queenstown. This beautiful lake covers 141 square kilometres, with calm, flat water reflecting the mountain peaks that surround it. The lake lies in a glacier valley and is approximately 390 metres deep, attracting small boats and anglers who are drawn to the area's natural beauty. 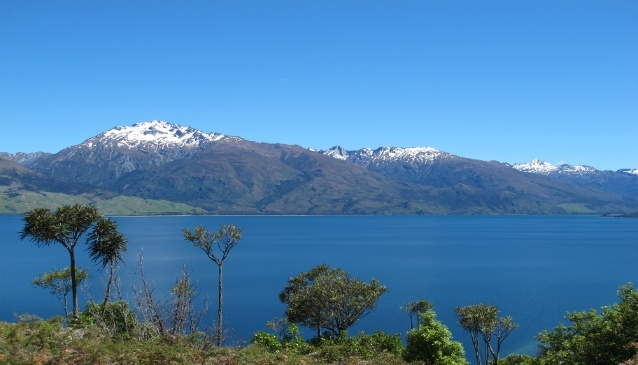 Lake Wanaka is close by, situated in another glacier valley, eight kilometres to the west, although at their closest point they are just 1000 metres apart. The lake itself is damned at the southern end by terminal morriane left by the glacier some 10,000 years ago. Lake Hawea feeds into Hawea River which meets the Clutha River at nearby Albert Town. 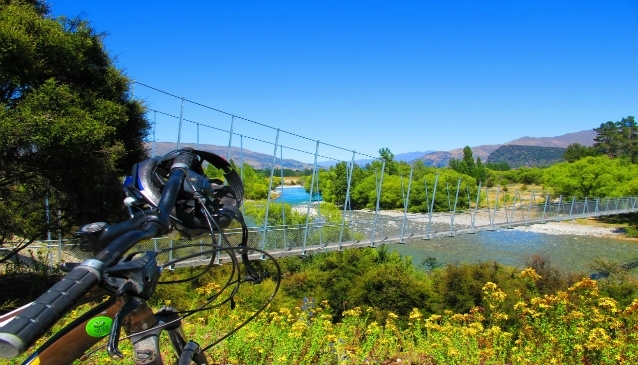 The Hawea River Track is great for cyclists and walkers, a 12 kilometre track linking Albert Town to Lake Hawea. The track starts from Albert Town Recreational Reserve and finishes at Domain Road in Hawea. There are five main walking tracks in the Hawea Conservation Park area with the shortest one at 1 kilometre - Kidds Bush Nature Walk, Timaru River Track, Hunter Valley Track, Dingle Burn Track and Boundary Creek Track. The small town of Hawea nestles next to the lake and includes a small general store and the Hawea Hotel which overlooks the lake and has a restaurant and bar open to the public. Close to the township, Lake Hawea Holiday Park and the Department of Conservation managed Kidds Bush Reserve campsite offer camping options by lake Hawea. The Hawea Whitewater Park, located on the Hawea River near the Camphill Bridge. is a purpose built wave park for surfers, body boarders and kayakers. 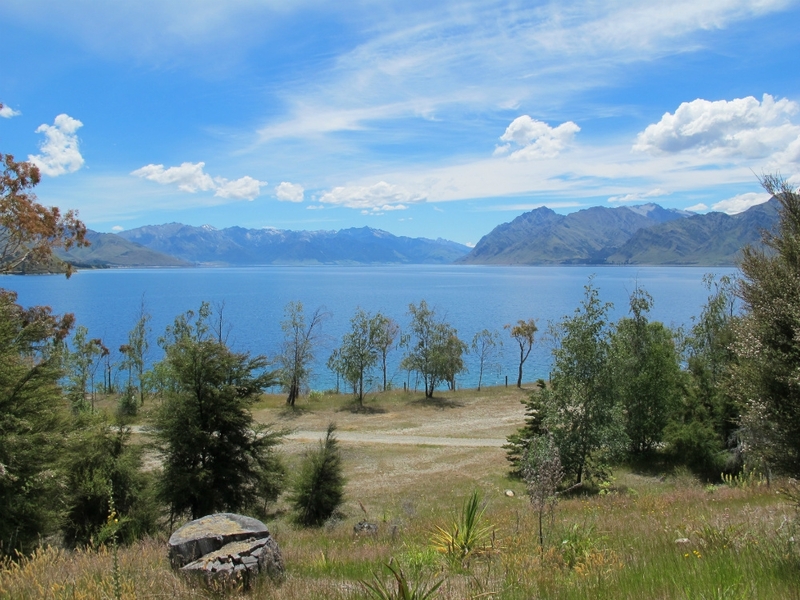 Lake Hawea is situated just 15 minutes drive from the all year round resort of Wanaka. If approaching from Wanaka, you need to leave the town centre and drive past Stuart Landsborough's Puzzling World on your right. 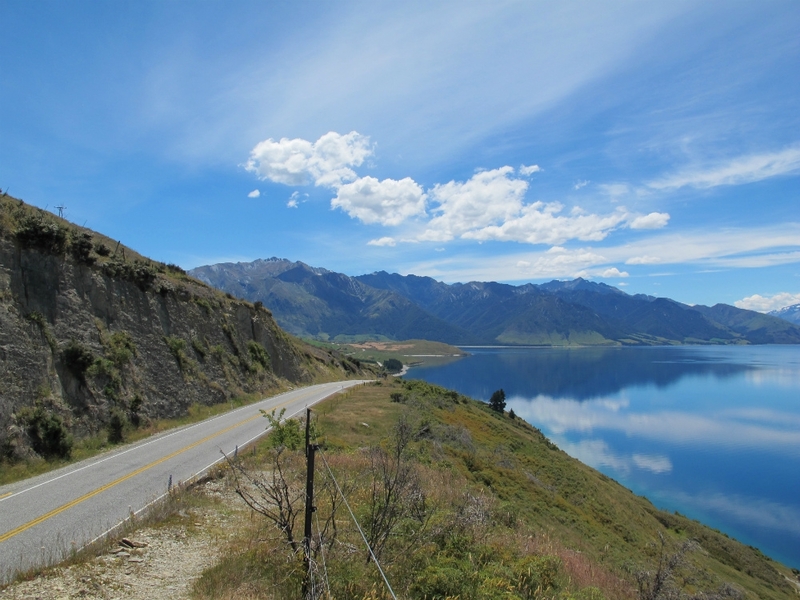 About 1 kilometre on your left , you need to take highway 6 which is signposted to Hawea, and drive for ten minutes until you reach Lake Hawea.